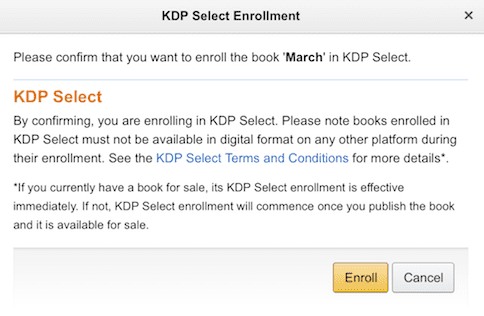 What Are The Advantages Of Amazon Exclusive KDP Select? 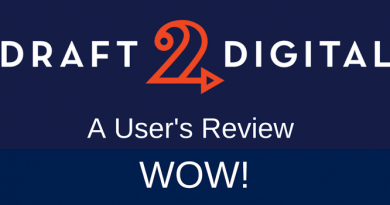 What Are The Benefits Of Amazon Exclusive KDP Select? Granting exclusivity to Amazon is a choice all self-publishers need to make at some time. However, there are important factors to take into consideration before you decide to make Amazon your exclusive distributor. For new authors publishing their first title, it is often a smart move to launch your book on Amazon at the beginning. You can test the market before deciding whether to use other retailers at a later stage. However, if you already have some published titles and they are available on a number of distributors or retailers, you will need to be careful before changing to Amazon’s exclusive type of distribution for ebooks. In general, the terms are reasonable. The agreement is only for a limited number of days, and opting out at the end of the 90-day exclusive period is simple and straightforward. There are also no geographic area limitations as the agreement is worldwide. When you publish with Amazon, you use the Kindle Direct Publishing (KDP) platform. It is only if you choose to use KDP Select that you will have to grant exclusive selling rights. 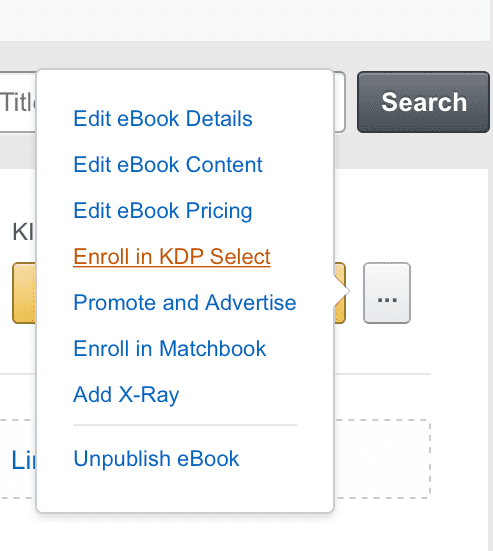 When you publish books on Amazon, you will be given a prompt to enter your book in KDP select. However, it will only occur when you decide to publish a Kindle ebook version. Select does not apply to any format other than digital, which means an ebook. There are no exclusivity requirements for a paperback, hardcover or audiobook versions. To enrol your book, make the selection when you publish. But you can skip it if you wish and come back and make the selection later. To enrol after you have published on KDP, go to your dashboard and choose to Enroll in KDP Select from the right side popup menu. Next, read the conditions and click Enroll. At any time after you enrol, you can change the auto-renew setting, which is the only way to cancel your Select enrolment. Leave the tick box empty if you want to continue to distribute with KDPS. Tick the box to stop your enrolment at the end of the current 90-day period. Your book will return to the standard Amazon KDP conditions at that time. With KDP Select (KDPS) you will be eligible to use Kindle Countdown Deals and free book promotion for 5 days during each 90-day term. Both are useful book marketing tools. Your book will be available for Kindle Unlimited (KU) subscription readers. It will also be available on the Kindle Owners Lending library. In addition, you will be entitled to a higher royalty rate when you sell your book in the Kindle Store in Japan, India, Brazil and Mexico. For many authors, another advantage is simplicity. Because Amazon has such a huge percentage of the ebook market, and in particular now for KU readers, publishing elsewhere is not worth the extra work and complication. It is easier to manage, and authors can concentrate on using the book promotion tools that Amazon provide. These include AMS to run ads or the Amazon book preview widget to promote on websites and blogs. Your choices as to how you distribute your book in physical formats are not affected. You are free to offer, sell or give away these versions in any manner you wish. While your ebook’s enrolment is current, there are specific provisions you must respect. Obviously, you cannot offer your ebook for sale anywhere else other than on Amazon. This includes your own website as well as any other ebook retailers. You cannot offer your ebook for free or pre-order anywhere other than Amazon including your website or blog, or a third party website. You cannot make more than 10% of your ebook available online. If you have preview reads or sample chapters on your website, you must ensure that you respect this limit. You cannot add content from your enrolled ebook to an ebook that is available elsewhere. If you want your ebook to be available to KU readers, you will need to be in KDP Select. For many authors, this is the main reason for enrolling. The other advantage is that all your sales and reporting are in one place. If you publish print on demand books with KDP, this is a real benefit. But if you are already selling your ebooks on other retailers, you do need to be very careful before you change from open publishing to exclusive publishing with Amazon. You probably use Smashwords or Draft2Digital to distribute your ebooks to Apple, B&N and Kobo. If so, both aggregators can now remove your ebooks from sale quite quickly. But you do need to check every one of your current retailers to make sure your ebook has been removed. It usually takes a week to 10 days. 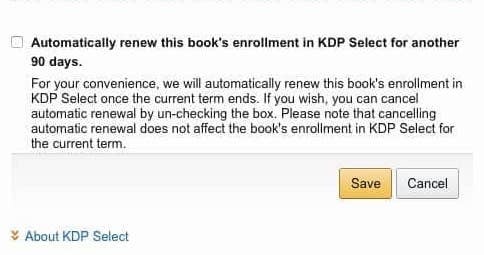 But if you enrol in KDP Select before all of your retailers remove your ebook, Amazon can take action to not only remove your ebook from KDPS, but also from the Kindle Store. It is not for every self-publishing author, but if you choose to use KDP Select, the benefits can indeed be worthwhile.